What are the benefits of Pet Friendly Luxury Apartments? Are you looking to move to an apartment and want to move to a luxury apartment community that’s perfect for both you and your pets? Pet friendly luxury apartments can be found in Harford County. There are many great benefits you can reap from Harford County Luxury apartments, from luxury amenities to beautiful and safe living. Luxury apartments include amazing amenities such as state of the art appliances, quality fitness center and wonderful family entertainment areas. But what makes a luxury apartment pet friendly? The answer is good pet safety. 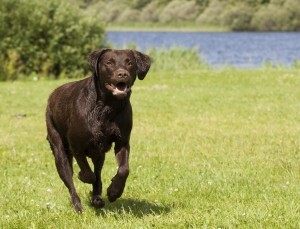 You will want to live in a luxury apartment that’s safe for your pets to run and play. A pet friendly luxury apartment will have quality air conditioning and the living space is comfortable for your pet to live without costing you an arm and leg in rental costs. As you undergo your apartment search, you’ll notice pet friendly luxury apartments are hard to come by. You don’t want your pet living just anywhere. You will want to know your pet is happy. One part of happiness living in an apartment is to have good neighbors, neighbors that will not annoy you or your pet. From there, you will want an in-unit washing machine so you don’t have to use a community laundry room or take your dirty clothes to local laundry room. You will also want to live in a Harford County luxury apartment community that has plenty of green fields and parks for your pets. Not only can you enjoy good workouts with your pet, but you can also meet new people and pets to making living at the apartment more enjoyable. All in all luxury apartments are better than standard apartments because they offer a larger living space and plenty of great luxury amenities. You can have all this and more at Harborside Village apartments. At our luxury apartment, your pets have less of a likelihood to cause damage to the apartment because our carpet and flooring are pet friendly. We also have plenty of space outdoors for your pet to enjoy. Take a look around our website and pay us a visit to tour our grounds. We are here to help you and pets live in style. You can learn more by reading up on our community features and full list of luxury amenities . This entry was posted on Friday, May 9th, 2014	at 11:51 am	. Both comments and pings are currently closed.